Massachusetts lawmakers packed a lot into the new bill I reported on recently. In addition to changing the state’s law on non-compete agreements, they set new requirements for professional employer organizations (PEOs). Any employers who use PEOs, as well as PEOs themselves, should take note. An outgrowth of employee leasing companies, PEOs manage HR-related functions for their client organizations. These functions may include administration of payroll, employee benefits, and workers’ compensation insurance, for example. The PEO is considered a co-employer and makes tax filings under its own federal employer identification number (EIN). The client company generally maintains control of the employees’ day-to-day activities. The employee leasing industry has been around since at least the 1970s, and PEOs have been gaining ground since the 1990s. Many of their clients are small and mid-sized businesses. The IRS recently implemented a certification process, pursuant to the Small Business Efficiency Act, for issuing Certified Professional Employer Organization (CPEO) designations to PEOs that meet the applicable requirements. With the passage of its new bill, Massachusetts joins the growing ranks of states that have laws regulating PEOs. From now on, any entity using “the names PEO, professional employer organization, staff leasing, employee leasing, administrative employer or other title representing professional employer services” must register with the state Department of Labor Standards (DLS) if it has employees in Massachusetts. Significantly, the new statute allocates certain rights and obligations between PEOs and their client companies, such as responsibility for workplace safety or for training and supervising employees. These statutory requirements apply “unless otherwise expressly agreed to by the PEO and the client in a professional employer agreement.” The specific terms of a PEO/client contract will therefore be particularly important in defining each party’s role. PEOs must put up a surety bond of $250,000. Either the PEO or the client must provide workers’ compensation insurance. Clients of PEOs are still entitled to tax credits and other government-provided economic incentives based on employment. Clients that qualify as “a small, minority-owned, disadvantaged, woman-owned business or other underutilized class of enterprise” won’t lose their status due to a PEO relationship. Clients are responsible for any employee licensing, registration, or certification required by law or regulation. At the start of a PEO relationship, the client must post a notice (provided by the PEO) and inform employees about the arrangement. The legislation also imposes reporting obligations aimed at increasing transparency and curbing abuses. PEOs will be required to file statements of ownership and management, audited financial statements, and client lists, among other things. The DLS will maintain a publicly available list of registered PEOs. Details such as the PEO registration fee and reporting process will be worked out during rulemaking by DLS. The National Association of Professional Employer Organizations (NAPEO), which lobbies for federal and state regulation of PEOs, is reportedly working with Governor Baker’s administration and the DLS on rule implementation. It’s no wonder that PEO growth coincides with the rise of the gig economy and contingent workforces. As more companies rely on mixed workforces that include various types of employees and freelancers, and as more people seek flexibility in their work, HR administration has become increasingly complicated. There’s been a corresponding increase in demand for outsourced employment services. Employers may see PEOs as one way to lessen the burden on HR staff, while also potentially saving money on insurance and avoiding the legal pitfalls of relying too heavily on independent contractors. The NAPEO estimates that, as of 2014, the PEO industry’s total gross revenue ranged between $136 billion and $156 billion annually. Virtually nonexistent 30 years ago, PEOs now serve 156,000 to 180,000 client businesses, employing between 2.7 million and 3.4 million ​people. Given the growth rate of PEOs and the changing nature of employment, there’s a good chance that you know organizations that are working with a PEO or thinking about it. PEOs and client companies operating in Massachusetts will want to pay close attention to the final rules implemented by the DLS. Professional employer agreements between clients and PEOs may need legal review, to ensure they meet the new requirements and clearly allocate responsibilities. 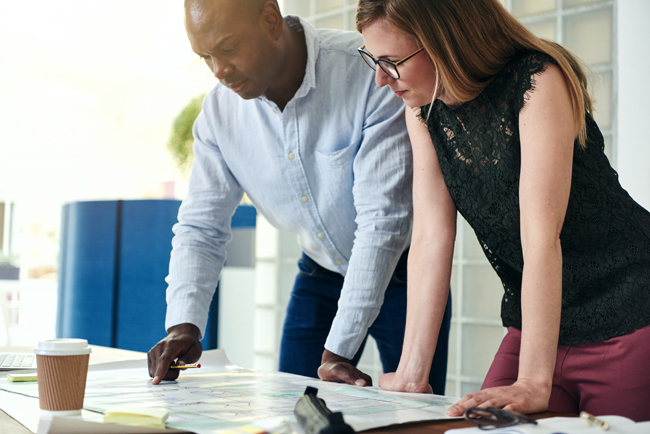 Employers in existing PEO relationships, as well as those weighing new PEO options, should make sure they understand a PEO’s services and costs, benefit plans, financial statements, and risk management practices. Consider checking the IRS website to see whether the PEO has received its CPEO certification.